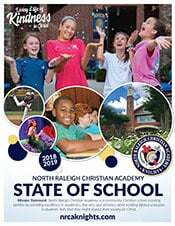 Mission Statement: North Raleigh Christian Academy is a community Christian school assisting families by providing excellence in academics, fine arts, and athletics, while instilling Biblical principles in students’ lives that they might impact their society for Christ. 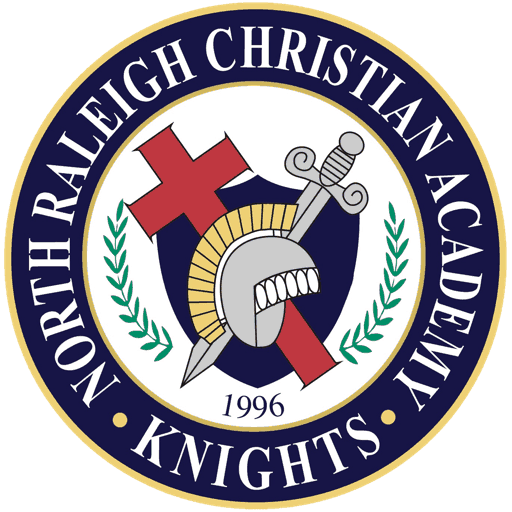 Vision Statement: North Raleigh Christian Academy stands as a lighthouse to those seeking a Christ-centered place of excellence with a loving and caring environment where students can launch into adult life equipped with the character and skills to navigate successfully for God’s service. 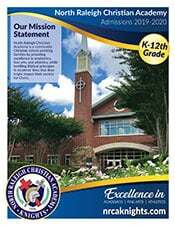 Our Faith: The general nature and object of North Raleigh Christian Academy shall be to conduct an institution or institutions of learning for the general education of youth in the essentials of culture and its arts and sciences, giving special emphasis to the Christian faith and the ethics revealed in the Holy Scriptures; prepare young people academically and spiritually to impact society; unqualifiedly affirming and teaching the divine inspiration of the entire Bible; the creation of man by the direct act of God; the incarnation and virgin birth of our Lord and Saviour Jesus Christ; His identification as the Son of God; His vicarious atonement for the sins of all people by the shedding of His blood on the cross; the resurrection of His body from the tomb; His power to save mankind from sin; the new birth through the regeneration by the Holy Spirit; and the gift of eternal life by the grace of God. 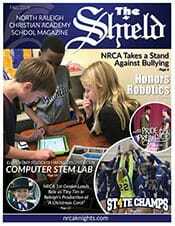 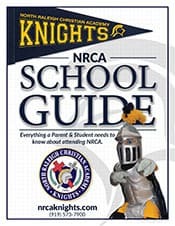 Our Non-Discrimination Policy: North Raleigh Christian Academy admits students of any race, color, national, and ethnic origin to all the rights, privileges, programs, and activities generally accorded or made available to students at the school. 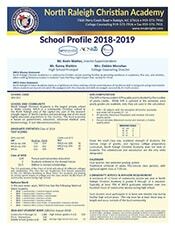 It does not discriminate on the basis of race, policies, scholarship and loan programs, athletic, and other school-administered programs.